iOS 4.3 beta has been released to developers. 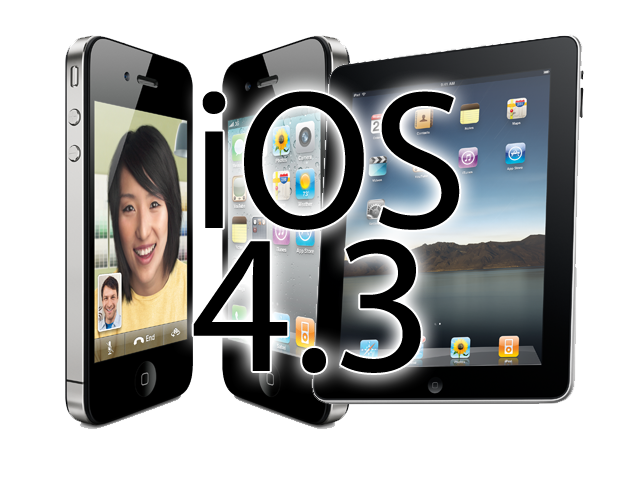 iOS 4.3 will be available for the iPad, iPhone 4, iPhone 3GS, 3rd and 4th generation iPod Touch and the Apple TV. Sorry, iPhone 3G users. So what can we look ahead to? Unicorns, the Loch Ness Monster, Bigfoot and the Verizon iPhone - what do they all have in common? No one has real proof that any of them existed... until today. 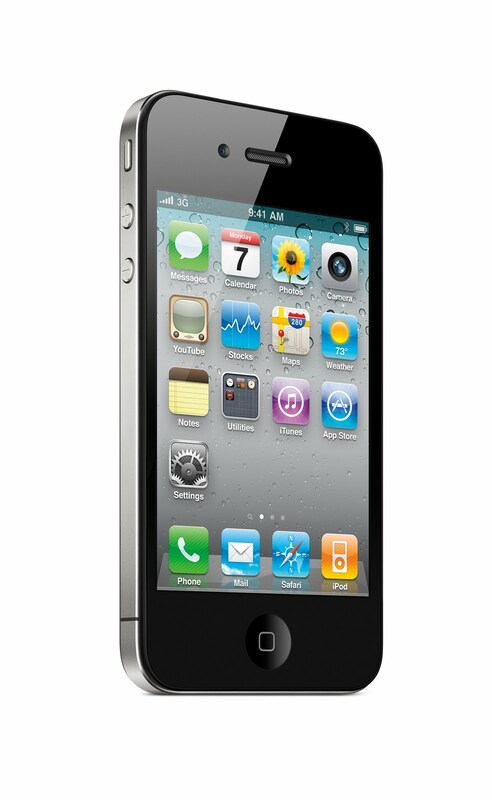 Verizon announced that the iPhone 4 will be available on its network by early next month. Existing Verizon customers will be able to preorder their iPhone on February 3 at VerizonWireless.com. On February 10, everyone else will be able to purchase an iPhone 4 at Verizon Wireless stores and at Apple Retail stores. It's the same price with a two-year contract: $299 for the 32GB version and $199 for the 16GB version. The main difference that is that the Verizon iPhone is running iOS 4.2.5 which allows using the iPhone as a mobile hotspot. Nifty. Plus, there's the obvious differences between a CDMA phone and a GSM phone. So should you get a Verizon iPhone? 1) You don't have AT&T 3G coverage in your area and you know you have Verizon 3G coverage in your area. 2) You constantly drop calls on AT&T but you know Verizon is more reliable in your area. 3) You have a great Verizon family plan and/or you get discounts that you wouldn't get with AT&T. 4) You don't travel internationally often. 5) You don't need a simultaneous voice and data connection. 6) You would like your iPhone to be a mobile hotspot. 7) You don't mind not having a micro SIM card slot. 8) You can't wait until iPhone 5 is released in June or July of 2010, assuming Verizon is getting it at the same time as AT&T. 1) You are happy with your AT&T coverage. 2) You don't drop calls on AT&T often enough to switch. 3) You have a great AT&T family plan and/or you get discounts that you wouldn't get with Verizon. 4) You have a grandfathered unlimited data plan. Verizon has not yet released its data plan for the iPhone and there's no guarantee that there will be an unlimited data option. 5) You travel internationally often. 6) You constantly use the simultaneous voice and data stream. 7) You don't need or want to use your iPhone as a mobile hotspot. 8) You have a need for a micro SIM card slot. 9) You'd rather wait for the next iPhone that comes out in June or July even though there's no guarantee that Verizon is getting a new iPhone at the same time as AT&T. I'm sure there are other issues I haven't even touched on. But for those Verizon customers waiting for years hoping that an iPhone would come to your network - CONGRATULATIONS!